Dog owners want what is best for their pets and for many people that means feeding an all natural dog food. There are two varieties of all natural dog food: commercially produced and raw. 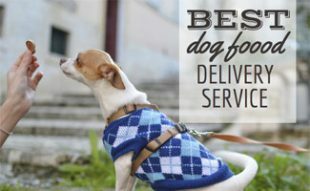 Depending upon your budget and the time you have to devote to your dogs diet, one of these may better suit your needs than the other. Why Feed an All Natural Dog Food? Choosing to feed your dog an all natural diet is a personal choice, below are some of the reasons why people choose to go with all natural dog food. Just as humans thrive on diets without fillers and artificial ingredients, so too do dogs. All natural dog foods eliminate the additives and artificial ingredients that many manufacturers include to “improve the taste”, prolong the life of their products or simply add more inexpensive weight and bulk to the bag to justify the consumer price. On the other hand, all natural foods mimic the natural diet of wild canines and provide a more balanced approach to nutrition. For dog owners that must cope with canine allergies, all natural dog foods are a good option. Whether a dog suffers from skin or food allergies, all natural diets help to improve overall health and boost the dog’s immune system naturally. The majority of dogs that experience food allergies have trouble processing grains or specific protein sources, both of which are found commonly in mass market, non-natural dog foods. Where many non-natural dog foods contain products that were never “designed” to be eaten by dogs, all natural foods contain only natural products that wild canines eat and process effectively. Many commercially produced dog foods contain a significant amount of fillers that can cause constipation and flatulence, as they create roadblocks to digestion. Many all natural dog foods are considered organic because they are created without the use of antibiotics and without pesticides that can be harmful to the world we live in. Not only does feeding this type of organic dog food mean that the environment suffers less, but it also means that dogs consume less chemical traces and antibiotics. All natural dog foods are created with a balance of nutrition in mind rather than a maximization of profit. Nutritionally balanced foods result in fewer incidences of diabetes and joint concerns as well as a healthier weight because of the inclusion of daily required vitamin and mineral complexes in addition to more natural and regular digestion. Dogs who have experienced upset stomachs are often aided significantly by transitioning to an all natural dog food. Commercially-produced all natural dog foods are always noted as being “all natural” on the packaging. 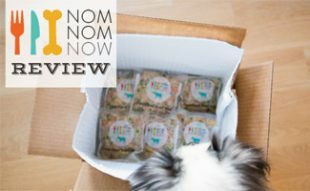 A small selections (but growing) of natural foods are available at large pet store chains like Petco and PetSmart, but are more widely available in boutique stores, vet clinics, specialty pet stores and online merchants like Wysong. When these products are available in larger pet store chains, they are usually stacked together in a specific section of the store. All natural dog foods will always be marked as such simply because it is a selling point for the companies that make them. Even if a dog food is labeled as “all natural”, it is still important to carefully check the ingredients of each food to look for potential allergens. High quality dog foods of all types will always list real protein sources in the top three ingredients. Real protein sources are not vague references such as “chicken meal” or “chicken by-products,” they should be listed as “chicken.” Healthy foods never include by-products or anything labeled as “meal” or “digest” because these are references to mystery meat products. Most all natural dog foods are also grain free as grains are fillers like rice or corn that are not found in the wild. All dog foods claim to be nutritionally balanced with your dog in mind; however, not all nutritional balances are equal. It is important to research the nutritional needs of your dog based upon their special dietary needs (check with your vet) and their life stage in order to find a good food match. Some all natural foods have higher levels of protein than your dog may be used to, others may have higher carbohydrate or fat contents – these are all things to consider. Protein: Pregnant dogs, lactating dogs, performance dogs, sled racing dogs and puppies all require higher levels of proteins than the average adult dog. Dogs battling illness also benefit from higher levels of protein, the exception to this is dogs with kidney disease. Dogs with kidney disease should be on a protein restricted diet to lessen the effects of their condition. It should also be noted that puppies require a unique blend of nutrients that should be obtained through a specialty blend puppy formula. Carbohydrates: Carbohydrates provide energy sources and fiber. While in the wild dogs diets contain less than 10% carbohydrates, commercial dog foods cannot be formed without the inclusion of carbohydrates. It is important to look for high quality carbohydrates rather than corn and wheat. Since carbohydrates are not a significant part of a dog’s natural diet, there is no data concerning how much carbohydrates are beneficial. Fat: Racing sled dogs and performance dogs have higher fat requirements from their foods than other dogs. Lactating or pregnant dogs and puppies also have slightly higher fat requirements than the average adult dog. There is a wide variety of whole protein sources available for commercially produced dog foods, depending upon dogs unique needs one source may be a better choice than another. If a dog has experienced allergies to food products in the past it is generally better to go with a single source protein food. Fish: Fish protein sources provide an array of natural oils and vitamins that help improve a dogs coat and joint mobility. Bison: Bison is a very digestible protein source that is a good option for dogs that experience allergies to other protein sources. Kangaroo: Kangaroo is an easily digested protein source and another good choice for dogs with allergies to certain protein sources. Kangaroo is an expensive protein source however making it cost prohibitive for many dog owners. Beef: Beef is one of the more common protein sources for dog foods; however, it is also one that many dogs with allergies react to. Chicken: Chicken is the most popular protein source but it is also the most common allergen as far as protein sources go. Lamb: Lamb is a more commonly available protein source for dogs with chicken or beef allergies. Venison: Venison is an easier to digest protein source recommended for dogs with allergies and it is less cost prohibitive than other options. Duck: Duck is a common protein ingredient in “hypoallergenic” dog foods; it is easier to digest than chicken and is more affordable than other easily digested protein based foods. Carbohydrates are another common source of allergies and while they are not necessary as a staple in a dog’s diet, they are necessary to create “kibble.” A dog’s tolerance to specific grain types will vary from individual to individual. All of the carbs listed below are gluten-free. Potatoes: Potatoes are commonly included in grain free foods as a carbohydrate source. Sweet Potatoes: Sweet potatoes are an alternative carbohydrate source for grain free foods. This is a good carbohydrate option for dogs with sensitive stomachs. Tapioca: Tapioca is an alternative carbohydrate that can be found in many grain free food options. Peas: Peas are a non-grain carbohydrate and are commonly found in grain free foods. Barley: Barley is a substitute for corn or wheat and is considered to be a grain. Oats: Oats are often used as a substitute for corn or wheat. Oats are considered a grain and will not be found in “grain free” foods. Rice: Rice is a low gluten carbohydrate that is considered a grain. Dogs requiring a grain free diet will not thrive on this carbohydrate but dogs needing a low gluten diet may. Fats and oils should have a specific source such as: sunflower oil, flax oil, chicken fat and herring oil. Non-specific fat and oil sources should be avoided, these include: poultry fat, generic fish oil, animal fat and vegetable oil. A minimum ration of 7:1 of Omega-6s to Omega-3s should be present or a fish oil supplement should be provided. Mineral oil should be avoided. Find a food that offers high quality protein sources in the first three ingredients. Try to avoid foods with grains or find foods that offer alternatives to wheat and corn. There are plenty of grain free food choices that are not all natural. Single source protein foods are the best choice for dogs with allergies. Raw feeding is another all natural approach to feeding your dog. Unlike commercially produced kibble, raw feeding centers on feeding dogs items that would be found in the wild. Raw feeding is also known as the BARF diet or Biologically Approved Raw Foods or Bones and Raw Foods; however, BARF is just one variety of raw feeding. The second type of raw feeding is known as the “prey model”. The principle of both of these types of diets is to feed uncooked meats, edible bones and organs. The BARF diet is made up of 60 to 80% raw meaty bones and 20 to 40% fruits, vegetables, meat, eggs, offal (internal organs or entrails) or dairy food. Raw meaty bones are bones that have 50% meat on them and include chicken back, wings and neck. The prey model diet is designed to replicate the natural feeding proportions that animals experience in the wild. This diet is comprised of whole prey animals such as chickens, turkeys, hens and rabbits. Around 80% of the prey model diet consists of meat, 10% bone and 10% organs (5% of this is liver.) Those who focus on this method of naturally feeding do not believe that dogs require vegetation or carbohydrates and as such they simply focus on feeding meat from a number of different “prey animals.” There are some people who feed the prey model that also supplement with vegetable matter to provide more vitamins and minerals. Additionally some feeders of the prey model add fish oil to food items to increase fatty acid intake. To many, raw feeding may seem as easy as throwing a few pieces of raw meat in a bowl and feeding; however, balance in raw feeding is very important. A significant portion of the balance in raw feeding comes from variation in protein sources. By switching protein sources not only do dogs receive varied nutrients from the meat but they also receive varied stomach contents which make up a portion of carbohydrate and vegetation intake. Many opponents to raw feeding believe that obtaining a balance in raw feeding is not possible and rely upon research to back up their claims. The Association of American Feed Control Officials is responsible for establishing pet food standards that ensure pet foods are nutritionally balanced. A study conducted on three varieties of “homemade” feeding and two commercial raw food diets found that there were multiple imbalances that caused concern. Three of the five diets tested proved to have abnormal calcium to phosphorus ratios which can contribute to fibrous osteodystrophy and hyperparathyroidism in puppies. With that said, many who support raw feeding also recommend support from a veterinarian to ensure that the raw diet being fed contains adequate amounts of vitamins and minerals. Raw fed dogs have much cleaner and healthier teeth as a result of feeding on raw meaty bones. Tainted pet food recalls such as the one in 2007 do not affect dogs being fed a raw food diet. Raw fed dogs have fewer issues with food and skin allergies. Raw feeding can be expensive. Nutritional imbalance can occur when dog owners are unfamiliar with how to properly balance raw food. These imbalances can lead to long term health conditions and in few cases even death. Consumption of bones can cause intestinal blockages and cracking of teeth. It should be noted however, that even dogs that are not raw fed consume bones and have an equal likelihood of experiencing these complications. Raw food has the potential for infecting a dog with a variety of parasites, bacteria and viruses. Commercially produced pet food is heated to such a degree that any potential harmful organism is destroyed completely. Humans handling raw food and dog feces resulting from a raw food diet also pose a risk of infecting humans with a variety of bacterial pathogens – most commonly salmonella. 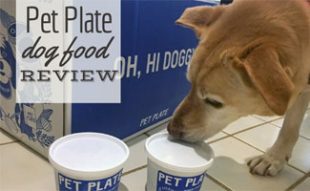 How Do Veterinarians Feel About Raw Feeding? While dog owners are somewhat split over the health benefits and risks of feeding a raw food diet, most veterinarians agree that raw feeding has more risks than benefits. Most vets believe that the risk of humans contracting disease from feeding their dog’s raw meat is too significant to overlook. The idea of feeding raw meaty bones to dogs is not completely off the table however, since the dental benefits of bone feeding are obvious. Most veterinarians agree that feeding a raw meaty bone a couple of times a week is a good solution to keeping teeth clean. But Milk Bones or Greenies will do the trick in a much safer way. While veterinarians are educated in treating our pets for illness and issuing preventative medications, many people question whether they should be trusted in advocating specific feeding methods. The biggest bone of contention for dog owners that advocate raw feeding is the fact that many veterinarians receive funding and “bonuses” from pet food manufacturers. Many vet schools across the nation are funded at least in part by pet food manufacturers and vet offices receive support from these companies as well. With that in mind, many question just how unbiased veterinarians can be when advocating specific diets. But at the same time, they likely became vets because they love animals. Find a vet who truly loves your pet and you will never find reason to question their recommendations for your loved one. 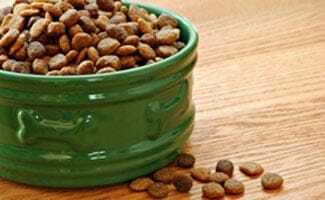 What All Natural Dog Food Option is best For Your Dog? There are pros and cons to feeding any type of food to your dog and deciding which diet is best is a personal decision. There are many factors to consider including cost, medical research, veterinary advice, food allergies and availability. With all of these things in mind it is important to simply make the best decision you can for your dog and your family and make any adjustments as they are needed. Jeff has a long history with dogs. Having lived with Boxers, Labs, Golden Retrievers and even a couple of Samoyeds, Jeff has experience raising many different types of dogs. I was doing green tripe for a little while. He did amazing but it’s too far away to get regularly. And it’s costly. I am trying to find a way to feed my dog. I took a pay cut. He is allergic to grains and chicken. He gets astemic yeast infections from potatoes. I have been giving him Zignature dog food. But it’s too costly. My dog is 100 lbs. I have to find a less expensive solution. I need to be able to feed him for $60 or less a month. So far he is still eating Zignature but I am forced to give him smaller portions. This has only been the past week. Pay cut happened 4 weeks ago. And may be taking another pay cut as job changes arise. Giving your dog natural dog food/homemade dog food is the best way to feed your dog. Commercialized dog food is a risk to our dog’s health and life. We all know that commercialized dog food contains chemicals, preservatives and additives that will surely do harm towards our dogs. So we should switch to homemade dog food so we can avoid the risks of cancer, diabetes and other diseases. Yes it is true that there is no alternative to a healthy diet if you wish for your dog to have a sound life. Daily meal plans are also necessary for a healthy diet. I don't care how natural it is, my dog is never eating kangaroo and neither am I! All-natural everything seems less like a passing fad and like the new direction things are going nowadays. In other words, what's old is new again! Before reading this article, I guessed that dog food already was pretty much all natural, although now that I read it, it does stand to reason that commercial dog food is probably made from even cheaper and more processed ingredients than human food in some ways. That is why I admit to being both surprised and not surprised by this article. The central idea here is right on, though: Eating well makes people feel better, so it stands to reason that it will improve a dog’s health, vitality, and longevity. I even read recently that dogs have a high incidence of cancer, which is both tragic and unfortunate. Of course I am a believer that eating all natural food will reduce the risk, and for dogs that means high-quality proteins and carbohydrates rather than processed fillers and artificial dyes. I even like the idea that there is a raw food diet plan out there for dogs now. No doubt exists in my mind that all natural dog food will catch on as a better way for dogs to live. Wow. I didn't realize that you could help your dog's allergy issues with all natural dog food, but when you think about it, it makes lots of sense. I think a lot of allergies in humans can even be eliminated with whole foods. Most of the fillers and preservatives are actually what people are having problems with. I'm sure pets are not that different. I've even heard of people having allergies to one food like rice and then being able to eat organic brown rice without a problem because it wasn't as processed as regular rice. It is interesting when that happens, however I know this doesn't always happen. It's just a sometimes thing. I'm not surprised that regular cheap dog food has cheap grains and proteins that don't digest well. It's also interesting that the whole, all natural foods help to boost immunity. All that naturally occurring nutrition must balance out the allergens. I didn't realize that balancing out, or boosting your immunity will allow you to fight off your allergic reactions better. This is great information, thank you. I actually suffer from many skin allergies and this is helpful for me. With more and more dog food recalls happening, it's only natural for pet owners to consider all natural dog food, especially diets that are made in their own kitchen. However, you must remember that making your own dog food takes a great recipe to ensure that your dog gets the proper nutrition. While there are a number of all natural dog foods on the market, these can be hard to find, especially in rural areas. This is when you want to consult your vet for a formula that will work best for your breed of dog. In most cases an all natural dog food will have a protein source, a healthy carbohydrate, and fruits and vegetables to create a balanced diet for your dog. You must remember that your dog will need some fat, especially if they are a puppy. Also the amount of protein will vary, depending on the age of your dog. While it does sound complicated, your vet can help you prepare a diet that is perfect for your dog. You must keep in mind though that preparing pet food at home will require cooking the meals on a daily basis to ensure adequate nutrition is retained in the food. I strongly agree with this article! All of us want the best for our dogs, but it’s difficult to choose which dog food will work the best for your canine. Many people wonder if they can trust their veterinarian because they are encouraged by companies to promote their pet food to their clients. Also, veterinarians will not recommend that you you’re your dog table scraps, but SOME table scraps are okay to feed a dog. Lean, unseasoned meat without the bone, vegetables and whole grains like brown rice are fine to give your dog, but the veterinarian will not recommend something like this for you. I think it’s fine for your dog’s diet to combine some healthy table scraps with a nutritionally complete natural dog food. You can tell that the dog is eating well if its’ coat is shiny, if its’ gaining weight (not too much weight though), if the dog seems energetic and if its’ breath doesn’t smell too bad. Of course we want the best for our dogs, but sometimes, it can be confusing which pet food is natural. That was a refreshingly thorough article! I have had a dog for about 2 years now. Up until half a year ago, I used to take the mainstream route and feed my dog whatever popular kibble was found on the shelves, because I truly believed that was best for my dog, since so many other people and vets recommend that stuff. But after reading this article my eyes have been opened to the possibility that popularity on the market and vet endorsements are not very good markers for quality. Taking a quick browse through your grocery store’s dog food aisles will show you just how diverse the choices are for you to make regarding your dog’s diet. The colors, the shapes, and the sizes of the packaging alone vary so greatly it can be hard to believe it is all the same product essentially that they are trying to manufacture. Then a closer look at the price tags will tell you just how different they really are. It is not mystery that all natural dog food will cost you a bit more at the cash register than the more inexpensive and mass-produced brands that could save you a few bucks. I’m sure part of the reason for this is because manufacturers know how to tug at your heartstrings and your wallet simultaneously when it comes to lavishing your pets. But even more so, there is a genuine increased cost of producing this stuff because they cannot take shortcuts with fillers and preservative chemicals. Generally speaking, you get what you pay for when it comes to your dog food, just like it is with everything. I had a dog when I was growing up and the dog lived for a pretty long time for their breed. I think she ended up living until she was about thirteen or fourteen years old when most dogs of her kind tend to live to about ten or twelve years old. She was an exceptionally sturdy dog and was in good health almost until the very end even though she endured some pretty scary moments including getting run over by a car at about the age of nine. However, I have to believe that she would have lived even longer if we had not fed her processed dog food for her whole life. The reason being was when we took her into the vet for what would be one of the last times, they found her body was riddled with cancer and the most likely culprit was her diet. It provided the external agents and chemicals that ultimately caused her cells to mutate into what became the cancer that killed her. I will never feed my dogs anything that isn’t natural again. I really love cooking for my dogs and my family, I really do. However, sometimes I just do not have the time. Part of the reason that I always would cook for my dogs is because I thought most dog food in the store was garbage. I mean if I wanted them to eat starch and soybeans soaked in beef broth, I could make it at home much cheaper and know that it came from a clean, "factory," if you know what I mean. But I, personally, always wanted my dogs to eat real meat, good veggies and hearty whole grains like everyone else that I loved ate. I have to say, I am so ecstatic that they have finally developed all natural dog food that I can buy in the store. I know it costs more than regular dog food or the stuff I make myself, but it is so convenient to just serve that to them once or twice week and I can feel just as good about feeding them that, as I feel about feeding them what I cook myself. It's a definite win/win situation. Great article! Was anyone else cracking up as they read about BARF dog food? All natural or not, they might want to consider changing the name to something a bit more appetizing maybe? It is not like I plan to eat it myself or anything but that is a name that would either crack me up if I saw it in a store or have me shaking my head. Either way, I'll get back on topic. I am a big promoter of all natural diets. I don't even want to know what they put in commercial food these days. It is pretty scary just to read labels for humans. I do not even want to think about how much worse the chemicals are for food for dogs. As far as I can tell, the only potential problem with all natural dog food is not even really a problem. It is just a matter of paying attention. That kind of dog food is not going to have the kind of preservatives that other dog food has in it, so you may want to be careful how you store it or don't stock up so much that it is going to go bad before your dog gets a chance to eat it. This is not really an issue in my house. I buy enough for about a week and that seems to work out just fine for us. We certainly do not waste any and my dog is one very healthy pup. I think all natural dog food is awesome. If I have the time I might make my own dog food but I don't know how and I just don't have the time. I also prefer to buy my own natural dog food because the people that make it know what they're doing and they know what a dog needs. I would never put the health my dog at risk by trying to make this on my own. In fact, I am grateful that companies exist that can make all natural dog food. My household is making an effort to go green and that includes our animals. You would think that would be an easy thing to do. After all, animals survive without us by living on nature. But if you were to mention to one your friends that you're feeding your dog all natural dog food they might think it's odd. I know my friends did. However, they also thought it was odd when I didn't want to put any chemical fertilizer my garden. All I know is that my dog is much healthier since I started using all natural dog food. This coat is shinier and he is more playful without being hyper. Regardless of what anyone might think, I will keep using all natural dog food just like I will keep trying to feed the rest of my family all natural food. I read through this article with great interest as I had a dog suffer some pretty serious side effects as a result of eating dog food with some preservatives in it that caused an allergic reaction. 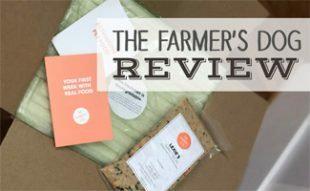 I think now, I will definitely seek out more natural foods with the proper ingredients on the listing to make sure I am not going to run into a similar scenario in the future. What happened was the dog started scratching almost uncontrollably at her ears and sides. This persisted for so long that the dog’s hair started to fall out in those spots and she even started to scratch through the skin trying to get some kind of relief from the itching caused from the allergic reaction she was experiencing. When I took her to the vet, he determined that it was indeed a reaction to the food she was eating and immediately prescribed a topical medication and a new diet. We switched her to an all venison and lamb dog food that proclaimed to be all-natural and the results were immediate. I will never make that mistake again! No doubt about it, paying for an all natural dog food alternative rather than buying the bargain brand dog food will cost you a few hundred more dollars a year generally speaking. Many, if not most people would scoff at this notion of buying such a higher priced brand of food for the sake of their dog’s health and happiness. They think what is good for most dogs is good for their dog and be done with it and be happy to save the few hundred dollars for other purposes. What I am saying is though, is that feeding your dog a bargain brand dog food that is chock full of preservatives and fillers will ultimately cost you more in at least two ways. Number one, it will cost you more in veterinary costs when your dog gets older. Number two it could cost you years off of your dog’s life because all of those chemicals and fillers have been known to cause cancer in dogs at an alarming rate. I have lost two dogs this way and I will never feed them the same old stuff again. The ingredients in many brands of dog food is horrifying. The sad thing is many people never stop to look at what they're feeding their pet. They either shop based on price or what the TV has brainwashed them to believe is healthy. A large percentage of dog food brands sold in grocery stores have corn as the main ingredient. The sad thing is that many pet owners don't realize why this is a bad thing and that dogs can't digest corn. Why feed your dog something in which the main ingredient is something their bodies can't use? With that said, that doesn't mean that dog food brands sold in pet stores are any better. While many of the brands sold in pet stores are healthier, not all of them are. You need to research the ingredients to watch out for, but more importantly, you need to use common sense. If there are ingredients you've never heard of, chances are you don't want to feed it to your dog. Look for foods that contain a source of protein as the first ingredient. Avoid byproducts. And, look for foods that are balanced with healthy forms of carbohydrates, fruits, and vegetables to round out the protein. I have been a dog owner all my life. Going back to my childhood days, I remember our family dogs getting older and weaker, which was to be expected, but it seemed like every time the final hour was approaching for our family friends, the vet came back with the same answer regarding what they were dying from. Some form of cancer had developed within their body and was spreading into areas that would ultimately claim their life. In recent years and after reading countless articles about the diet of dogs, I have no doubt that the chemicals and fillers used in dog food is at least partially responsible for the deformities in my dogs and their falling to cancer. One sure fire way to identify an all natural dog food in the pet store is to look for the most expensive label you can find. At least it seems that way. What I am saying though, is that with all the research done and all the evidence showing as much, it is worth the extra year and thousands of dollars in vet costs to feed your dog naturally. Many dog owners have noticed that the health of dogs seems to be in general decline. Possibly they are spending more money and time at the vet and treating seemingly strange and inexplicable problems. Some of the reasons for these issues may be the diet that our dogs are eating today. There are a number of good reasons for switching over to all natural dog food. This article spells out a number of these. The first, and most basic reason, is that this is simply a healthier option. Most commercial brands of typical dog food have a number of additives and artificial ingredients. Many of these are not really very good for your dog. All natural types of food eliminate these and simply provide whole food sources. If your dog has some kind of allergy, there is a very good chance this is being caused by their diet. All natural diets tend to help improve and boost the immune system of a dog. This can, many times, eliminate most of their skin or food allergies. Normally, it is grains that lead to these allergies. In an effort to keep my family healthy, I have tried to buy as many natural products as can in place of the products that have chemicals in them. It was not until my children pointed out that the dog was part of the family that I realized I needed to switch his food too. I knew I was going to see changes in my family due to the change in our diets. We lost weight without putting in any extra time exercising. Allergy episodes became far less frequent, and even some of the behaviors of my family changed. My children were calmer and even their skin looked different. Like I said, I kind of knew this was going to happen, but I was unprepared for the extent of it. And when we switched to natural dog food, I had no idea what to expect. Since we made the change, my dog does not just look healthier. He acts much calmer. It used to be hard to just get him to sit still. Now, he is much more relaxed, though he still has a healthy energy level. It just seems like he is not as nervous as he was before. It took some time to get him used to the natural dog food, but I am glad my children pointed it out to me as we are all much happier now. This article gave a number of interesting and unique perspectives on the types of diets which could be considered all natural for dogs. Personal, I think many of these make a lot of sense. I was very intrigued by the Prey Model diet. With this situation, dogs are fed essential what they would eat in the wild. This means whole prey foods like chickens, turkeys, hens and rabbits. There is not much, if any, vegetables in this model. But it does pretty closely replicate the diet of a wild dog. The BARF diet is a variation on the prey model. The majority consists of raw, meaty bones (up to about 80 percent). The rest of the diet consists of fruits, vegetables, meat, eggs and a tiny bit of dairy. I have always thought that the whole idea of trying to make a dog eat a lot of fruits and vegetables was kind of unnatural. After all, wild dogs do not naturally eat plants or fruits off trees. Instead, they go after meat. Sometimes people forget that dogs are natural hunters and predators. Imagine being a wolf in the wild you see that rabbit or deer and you think that will taste good while I'm all for eating hunted foods think on this as far as the carbs go: What does that rabbit and deer and all the other animals it could choose to hunt eat. Plants in other words vegetables so when you say that they don't get their carbs like we do when we eat any vegetable they are still getting them when they eat that natural meal they just hunted down. Great article by the way I've switched from Walmart's Ol Roy to a much healthier food that has no by products, meals or wheat soy corn and I have refused to give them that ol stuff ever again. I've gotten some weird looks when I'm looking at what my choice has in it by the other consumers that go and buy what's popular I've even gone out of my way to educate some of them that will listen and have seen them now buying the better food. My dog has no allergies that I am aware of. He is a healthy animal with a shiny coat. My switch to all natural dog food had nothing to do with anything my dog was doing. It had everything to do with my goal to make my family as health as it can be. In pursuing this goal, I have tried to eliminate chemicals from all of our diets. Oddly enough, I started this in my house not because anyone was unhealthy, but because I started learning a lot about the chemicals that are in just about everything we consume and how they can have an impact on our mental health. I was observing my nephew, who is clearly and undiagnosed autistic child. Out of the blue, my sister started going organic. It had nothing to do with my nephew, but it had a very serious impact on him. Almost all of his traits began to dissipate in such a way that they no longer stand out. My sister also lost weight and her mood changed. I just thought it was enough for me to want to try a chemical free lifestyle and as far as I am concerned, my dog is as important as I am. Many dog owners are rightly concerned about the type of food their dog is eating. After all, the diet can play a huge role in the health and lifestyle of your dog. One of the best ways to make sure you have a healthy and happy dog is to feed them all natural food. However, just picking anything that claims to be all natural on the label may not be the best strategy. When choosing any type of dog food, it is important to consider the nutritional balance. This includes considering the special needs of your dog, according to their breed, type of issues they may be having and even their stage of life (the diet for a 4-week old puppy will be different than a 4-year old adult). For example, pregnant dogs will have a higher need for protein (and higher quality protein types). The same is true for racing dogs, sled dogs and high performance or working dogs. Look for a fair amount of high quality protein sources such as meat and chicken. It is also important to find high quality carbohydrate sources (not corn or wheat).